All based on Cognitive-Behavioral Therapy and Exposure-and-Response Prevention; empirically validated by researchers as the most effective treatment for anxiety. Your anxiety won’t just go away. You have to make a conscious decision to take action. This is one of the most important decisions you’ll ever make. Don’t waste another moment of your life struggling with constant fear and worry. Take action today. 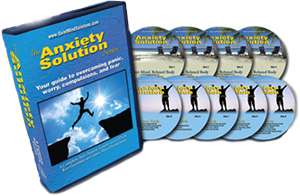 Order The Anxiety Solution Series and start your journey to a life free of debilitating anxiety. Want to Hear for FREE? Simply enter your name and email address and we’ll email you a link to five more chapters that you can listen to for free. I had been suffering from anxiety for over 3 years and was put on medication here in Australia. Therapy combined with medication (Valium) did not seem to be helping. I feared driving, being on my own and most simple household tasks were extremely difficult. I found the Anxiety solutions series, and after 3 months of solid dedication and commitment, I no longer take Valium and have gotten my freedom back. I can now drive. All household chores are now so easy and enjoyable. I am a much calmer person. I got a thousand times better results than therapy appointments that cost over $100. No one should have to live suffering when there is fantastic help." 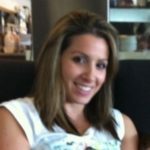 "The Anxiety Solution Series can really change your life…it’s a million dollar lottery ticket for anxiety sufferers." How this series can change your life. College student, 1 year sufferer with fear of dying, illness, panic attacks, and agoraphobia. Copyright 2019 Ken Goodman, L.C.S.W.